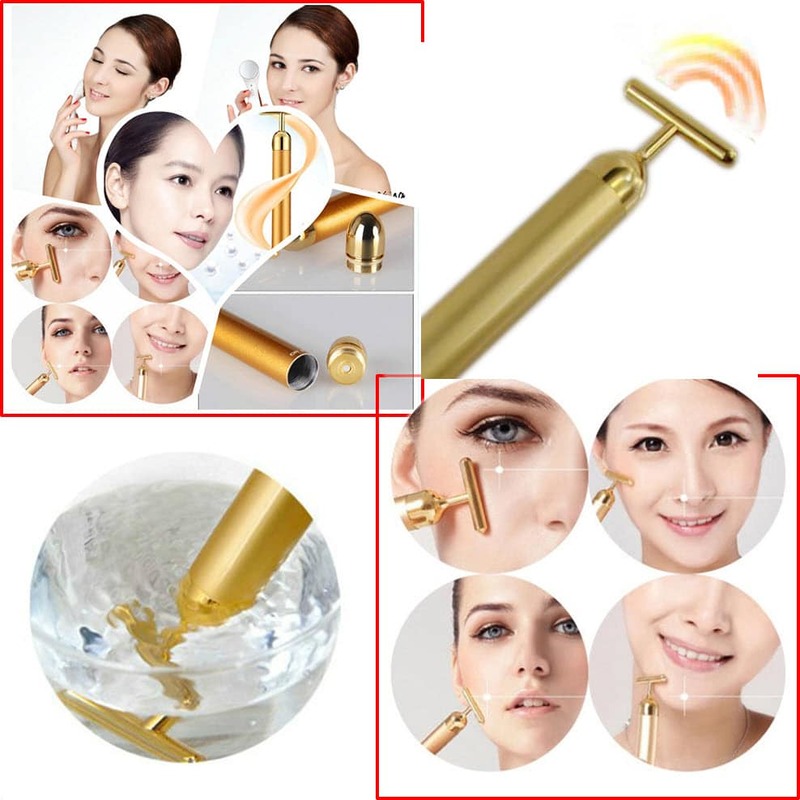 It vibrate 6,000 times per minute to give the facial muscle the right amount of stimulation, in order to achieve a firming effect and to improve the skin. 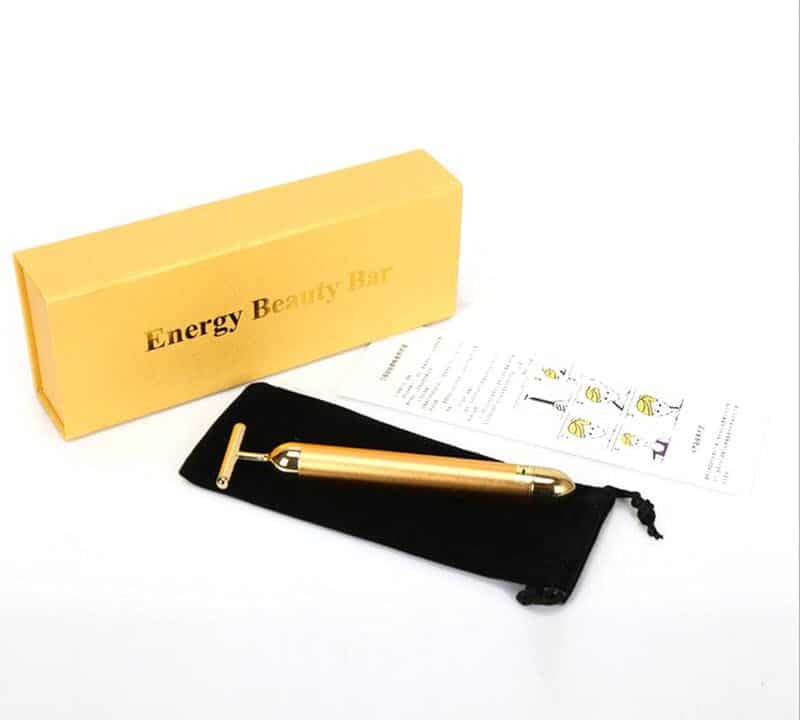 With this amazing Anti wrinkle face massager bar, you can now maintain that supple and radiant glow on your skin and ensure your skin does not get too dehydrated. 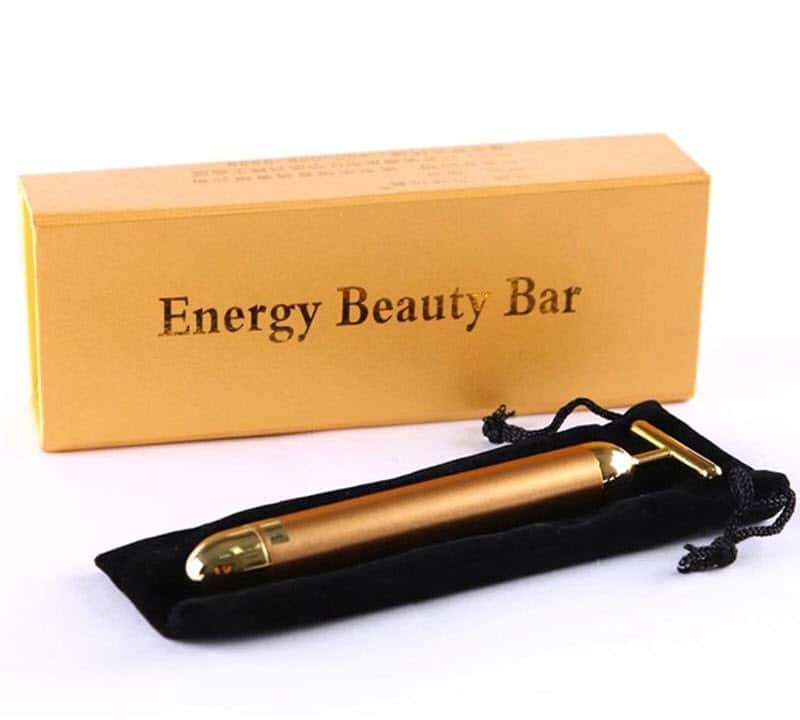 It can also reduce wrinkles around eyes, lips, forehead and neck, instantly reshape the face contour to reveal your youthful look and energy. 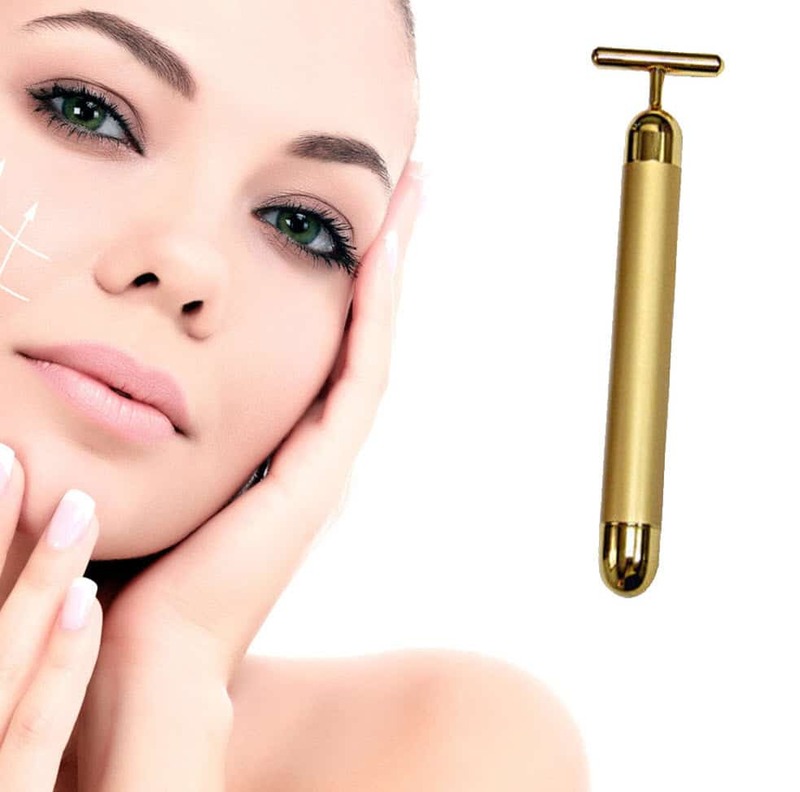 All you need is 2 – 3 minutes per day, then you will be able to easily obtain the firm and radiant skin you always dream of. 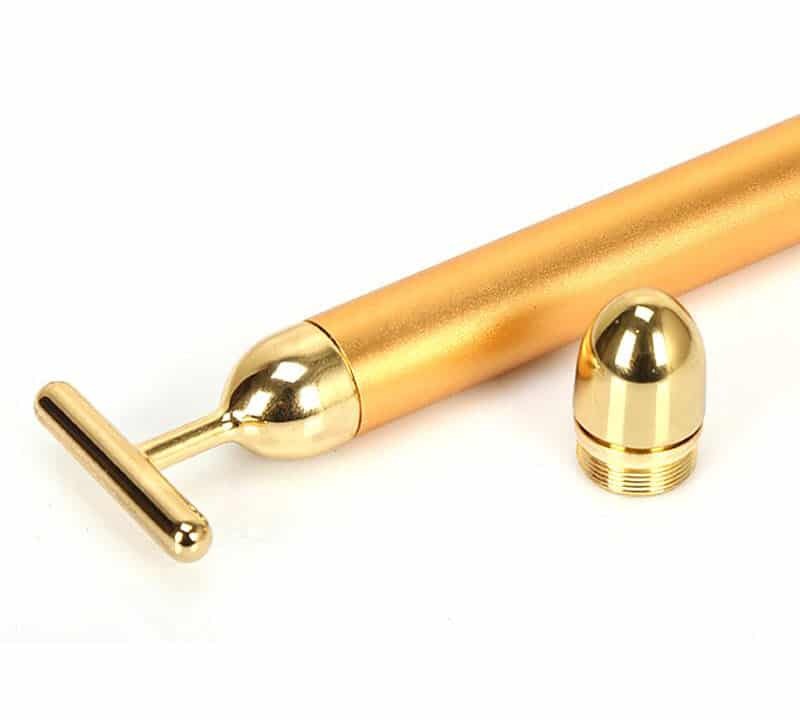 Since the wavelength of gold ions and living organisms natural current is the same, a slide of the gold ions on the skin can regulate and balance the bio electricity, thus promotes metabolism and activates skin cells, giving radiance and elasticity to the skin. 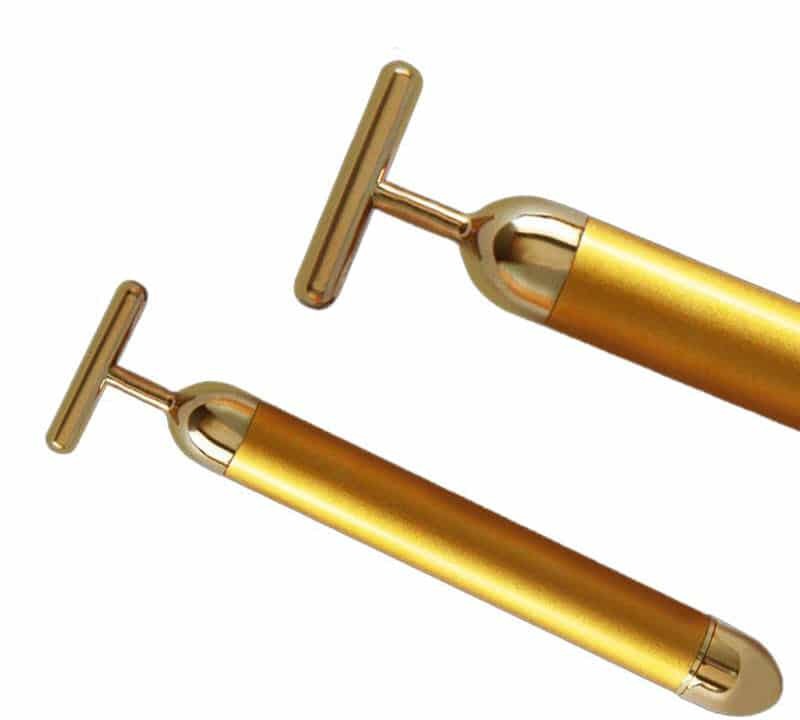 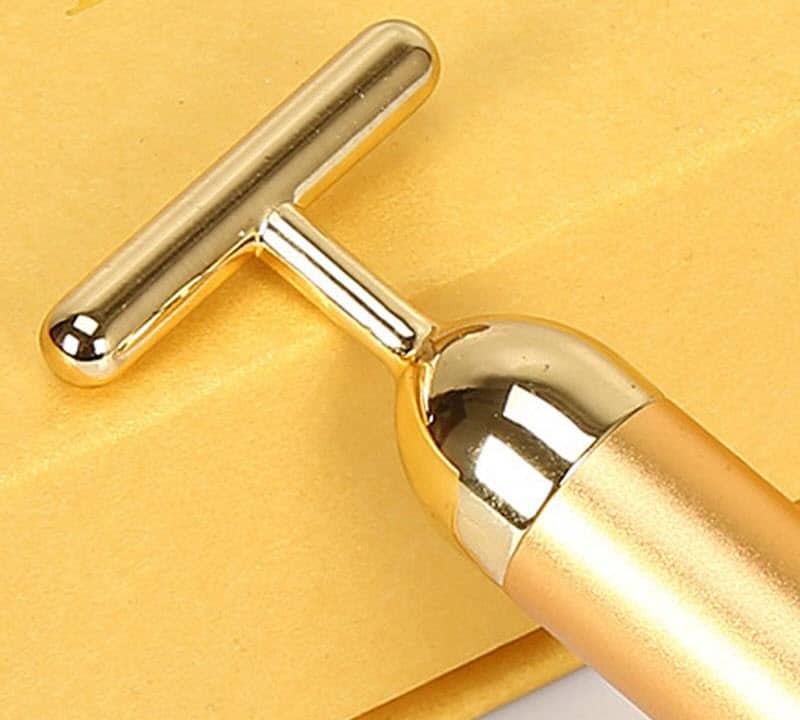 1 x Anti wrinkle face massager 24K.